Flying cars has been the objects of fantasy for many of us, We dream it, and everyone was sure that cars would fly in the future but with this successful first flight of an electric flying car, the future is now. Before now, inventors have come up with various concepts for VTOL (vertical take off and landing) aircraft, including the autogyro and quadcopter, among others. Till date, the most mainstream VTOL aircraft in the history of man has been the helicopter, something that everyone is familiar with, But Lilium is here to change that when it goes mainstream. The Lilium Jet – is the world's first all-electric VTOL jet. According to the maker, Lilium is an electric flying car that can take off and land like a helicopter, yet fly like a plane, and also can be driven around like a car. 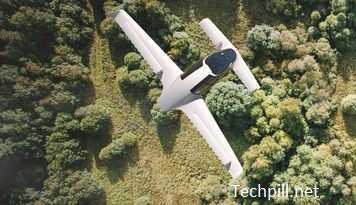 Lilium flying uses electricity, which make it more silent than modern automobile and no emissions. Having said that, Lilium says this car can fly from London to Paris on a full charge and can reach a maximum speed of 300 kilometre per hour. That is as fast as a Formula One race car. For the now, prototype that successfully flew is a two-seater craft. Lilium say they are working to build a 5-seater model next designed for on-demand air taxi and ride-sharing services. What do you think about this innovation?